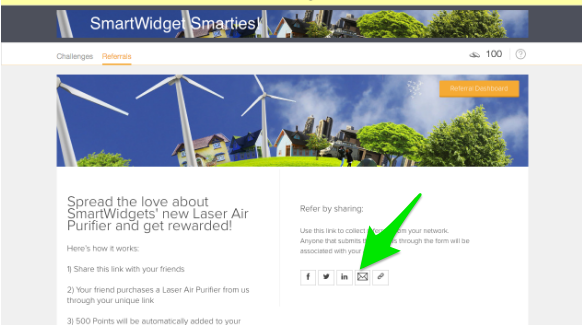 Referrals 2.0 - Customize Default Emails, Highlight Personal Invitation Link, and More! Benchmarking allows you to compare your Hub's performance on key metrics vs. other Hubs. Visit the "Benchmarks" tab under Reports. Learn more through this help article. If you are on the Army tier and don't see the Benchmarking tab in Reports, please contact our support team and ask them to enable it for you. This is a preview of the first version, and we would love your feedback, which you can post on this discussion. 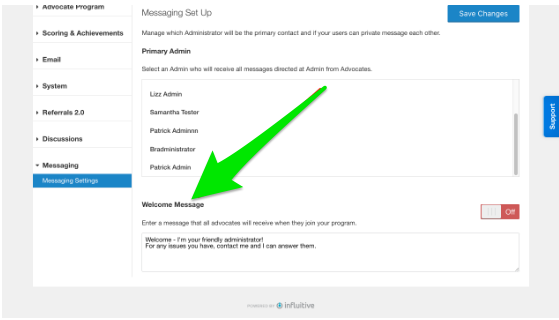 For those opted into our Messaging Beta, we now allow you to set an Automated Welcome Message to New Advocates from the Primary Admin. This is a great way to inform new users of who you are and how to contact you. The messaging beta will also now display line breaks correctly in messages. To sign up for the Messaging Beta, please fill out this request form and someone from our Product team will help you get set up. If an advocate has done an act of advocacy for you outside the hub, we now have a way to track their activity, record it in reports, award points. 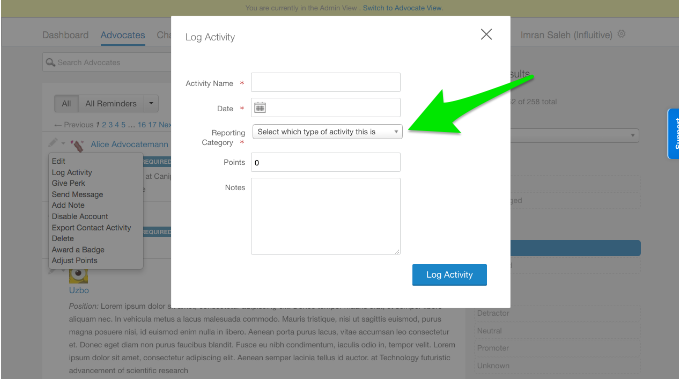 Go to the Advocates tab, and select "Log Activity" for the advocate you'd like to track. 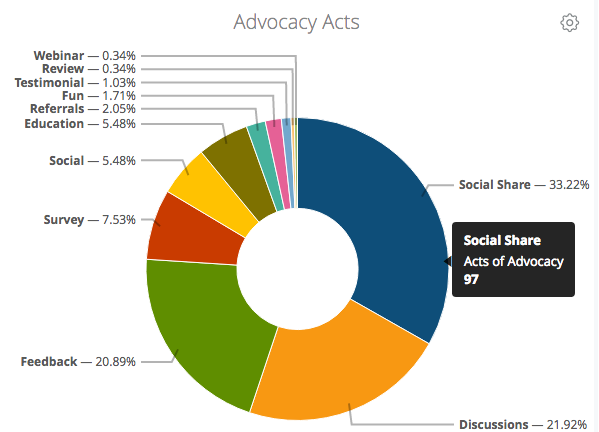 Then type the name of the activity and what kind of advocacy it represented (using the Reporting Category field), and it will now be captured in reports and tied to that advocate. You can also award points at the same time if you'd like! You will now need to choose the appropriate reporting category to ensure completions of that stage get correctly recorded in the "Acts of Advocacy" graph on your Influitive reports. If you have suggestions on reporting categories we should be adding, please email our support team. You can now customize the default email message that is used when an Advocate clicks the "email" icon to share your referral program with their friends. Watch this video for more information on how to customize this email. To encourage advocates to refer others, we now more prominently featuring the "Personal Link" for each advocate on a referral campaign. 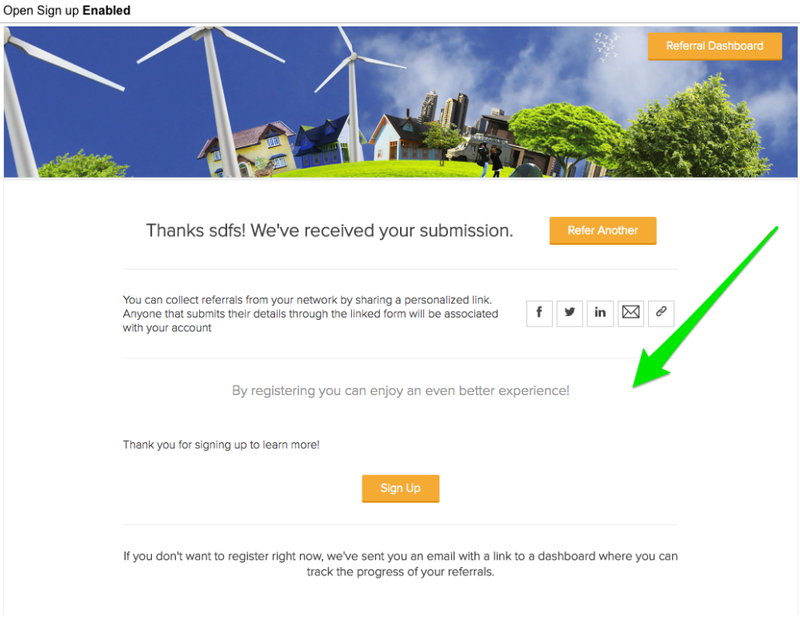 When a user who is not a member of the hub makes a Referral on a Referral 2.0 campaign, in the past there was always a "Sign up" button which implied they could also sign up for the hub. We have now disabled that button if Open Sign up is Disabled. It will only show if the admin has enabled an open sign up. The previous integration "Salesforce v2" is now named "Salesforce for Referrals 2.0" to better make clear this integration is specifically for our Referrals 2.0 integration. Within the "Salesforce for Referrals 2.0" integration, we have renamed "Push Referral App Leads" to be "Push Referrals 2.0 Leads" to make clear these leads are specifically for the Referrals 2.0 integration.